KANSAS CITY, MO. -- Worlds of Fun today announced it will be adding two new unique and thrilling rides in 2017, as well as a completely redesigned front gate to enhance the guest experience next season. This will include a new plaza area and new catering pavilions. Falcon's Flight – A hair-raising thrill at nearly 100 feet above the ground. 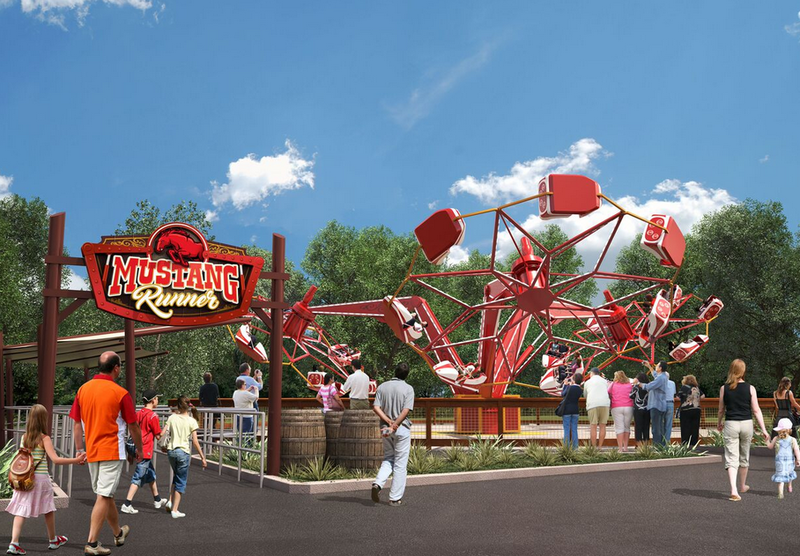 This ride spins and rises at the same time and holds more than 50 riders at a time. The ride will be located in the Europa section of the park where Le Carrousel is currently located. 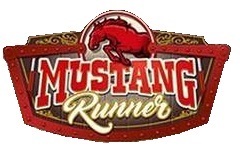 Mustang Runner – Three arms with seven gondolas per arm turn one way while the base of the ride spins the other direction. The ride will be located in the Western area of the Americana section of the park and will be located near Detonator where the former kiddie bumper cars were located.